Daño, Spanish for “damage”, comes from the Latin for the same: damnum. From the same root we get both the English condemn and damn. But what happened to that missing ‘m’? Interestingly, the Latin m-n sound tended to turn into a ñ sound in Spanish. This explains how autumn became otoño, for example. We can still see this pattern preserved in the perfect mapping of d-ñ in daño to the d-mn of damn, and the same with condemn. From the same root we also get the English indemnity, as well as damage itself, although the final -n was lost because damage entered English via French. We can see the parallel but between daño, condemn, damage, and damnum — but how did it come to mean the formerly-vulgar, damn? Think of damn in the old sense of, sentencing someone for a crime they did: you are condemned to hell. A whole slew of English insults come from this same concept, including the word hell itself! The evolution is easy to spot if we remember that the -mn- sound in Latin usually transformed into the ñ in Spanish. See damn and daño, for example. Or autumn and otoño as well. Thus, the s-mn of insomnia maps to the s-ñ of, sueño. Otoño doesn’t sound much like its English translation, fall (the season). But if we think of the less common synonym, Autumn, then the pattern becomes a bit clearer. Both come from the Latin for the same, Autumnus. 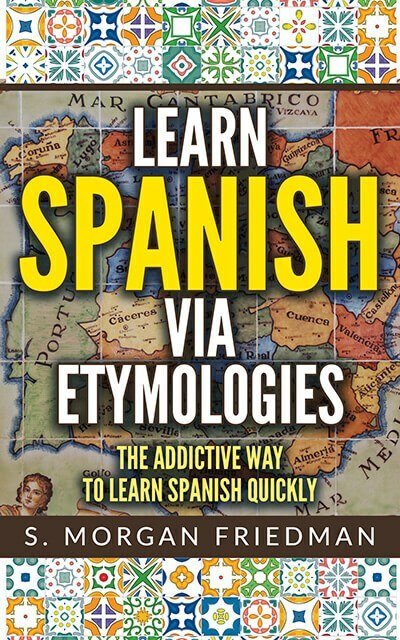 But Latin words with an m-n sound usually became an ñ sound in Spanish. Think of damn and daño, for example. So the a-t-m-n of autumn maps to the o-t-ñ of otoño!